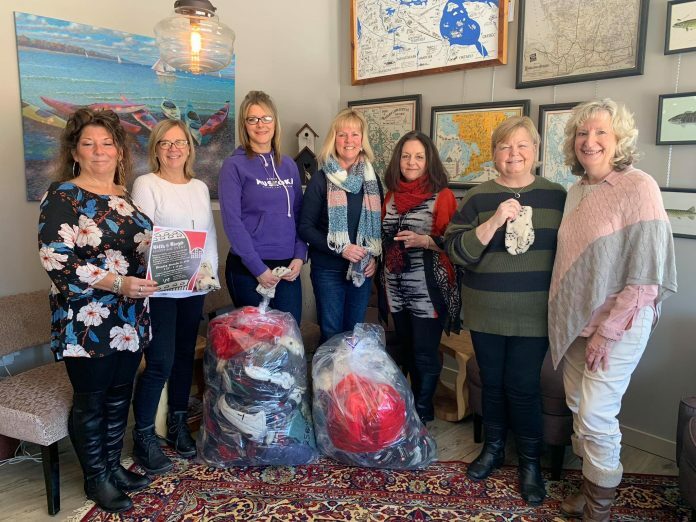 The Shipyards Muskoka Marketplace donated 300 pairs of mittens to local youth after fundraising at their Mitts & Mingle event in December, according to an announcement from Feb. 9. The Shipyards is a 4,000-square foot marketplace full of pop-up vendors from local artists to clothing brands located at the Muskoka Wharf in Gravenhurst. 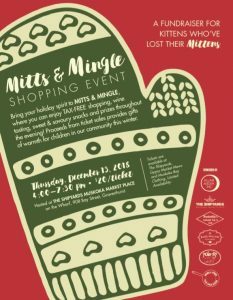 They hosted their first-ever Mitts & Mingle fundraiser and shopping event on the evening of Dec. 13. Tickets were $20 to participate in the tax-free shopping experience and The Shipyards also gave away prizes in addition to providing wine, craft beer and food from local vendors. The money from the event provided 300 pairs of mittens that were donated to K.P. Manson Public School and Watt Public School. It’s been heartwarming for the schools as well. Norah from Watt Public School, which received 125 pairs, told Campbell the mittens will be great for kids on the skating rink and for outdoor programs at the school. Christina from K.P. 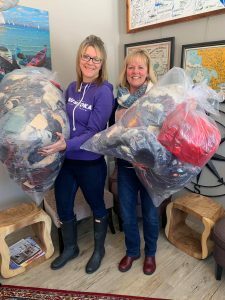 Manson Public School, which received 175 pairs, said there are often little ones who comes to school without mittens and this will be a huge support for them. The Shipyards sold 45 tickets of the 100 they had available, but some people donated money in place of being able to attend while others bought tickets just to support the cause. Campbell said it was a great first year for the event and looks forward to hosting it again. The success of Mitts & Mingle also has him considering a summer version of the fundraiser as well. To watch for future fundraisers at The Shipyards Muskoka Marketplace, visit their Facebook and Twitter pages. If you want to visit them before their next fundraiser, the marketplace is open on Saturdays from 10 a.m. to 5 p.m. and Sundays from 11 a.m. to 4 p.m. at 908 Bay Street in Gravenhurst.